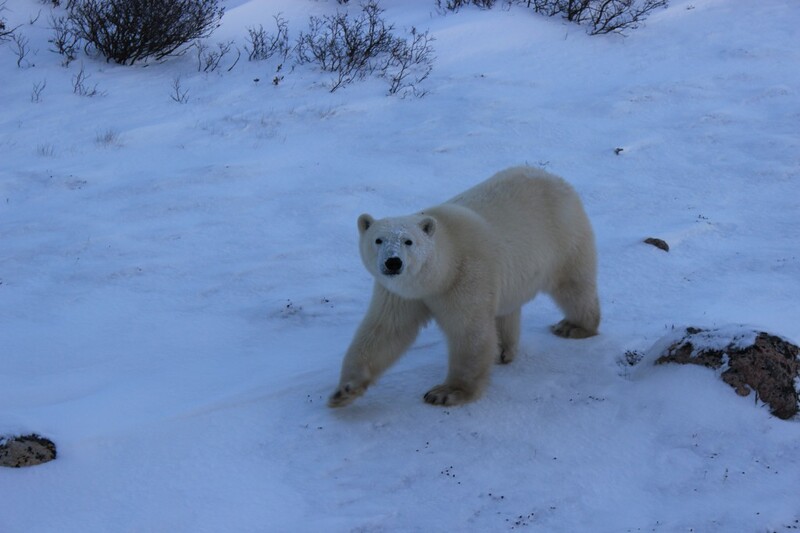 Churchill, Manitoba is known as the “polar bear capital of the world” where adventurous travelers can get up close and personal with these majestic beasts as they migrate to the Hudson Bay in search of food for the winter ahead. 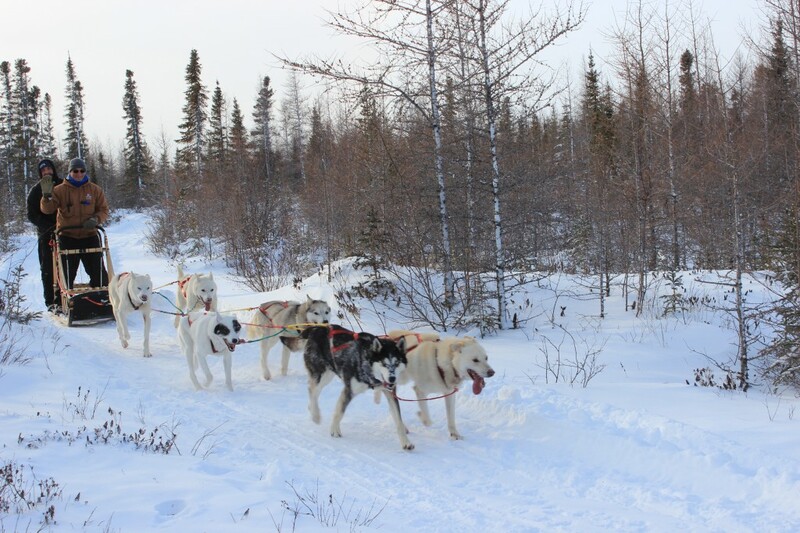 From Winnipeg to Churchill, explore Manitoba alongside travel expert, video journalist and contributor to Tripfilms.com Kelley Ferro as she interacts with polar bears, goes dog sledding, tries the local specialties and more during a once-in-a-lifetime journey with USTOA member Tauck. Ready to see more? Watch the videos below to experience the incredible culture, wildlife, people and food of Manitoba. I arrived to Manitoba, Canada, for my polar bear expedition with Tauck, and within my first thirty minutes at the Inn at the Forks in Winnipeg, I knew that I was not only in another country: I had entered another world. Words like Inuit, mushing, ptarmigan, grouse, dainty and Inukshuk were mingled into my conversation with a young woman named Dene who welcomed me from Travel Manitoba, and I tried to decipher with context clues what these words actually meant. 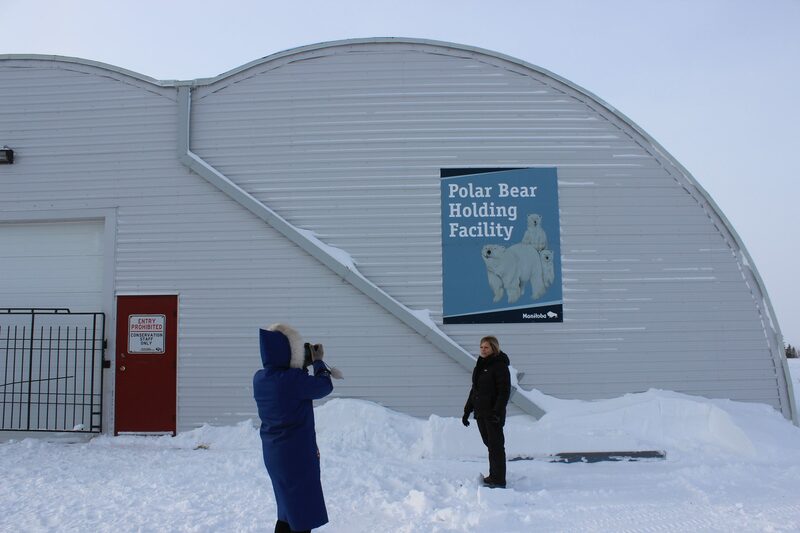 Our group hopped a chartered flight the next morning to Churchill, the polar bear capitol of the world. Churchill is accessible only by plane or train, but plane is definitely the way to go: it’s a forty hour train ride from Winnipeg, due to environment factors and land conditions. 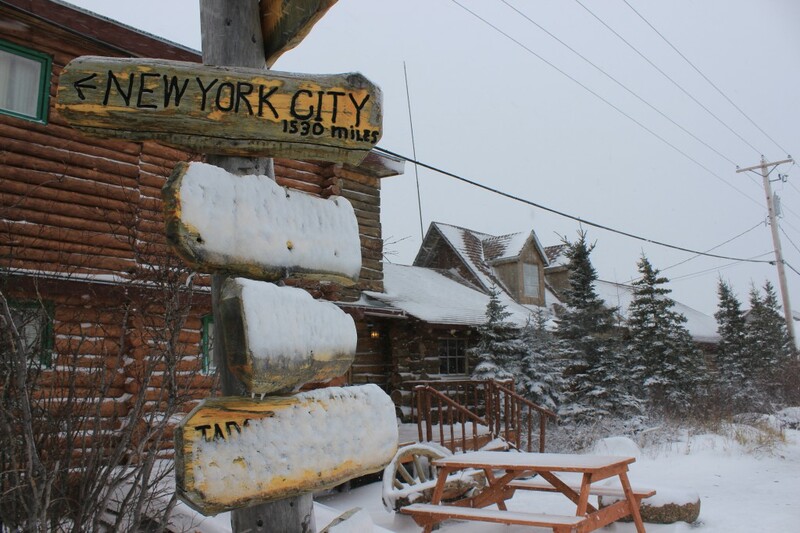 We arrived to the warm Lazy Bear Lodge, our outpost over the next few days as we explored this remote Canadian town and searched for its most famous inhabitants. The culture of Churchill is a microcosm of Manitoba, as its year-round inhabitants have had to become resourceful and inventive in order to live here with its harsh weather conditions. There is an open-car-door policy in this town: everyone is required to leave the doors of their cars unlocked, in the case that a resident is walking around and gets approached by a bear. Colin, our local guide for the trip, as well as Dale, our Tauck guide and also a Canadian, explained the protocol to us: “If you’re walking around and you see a polar bear, just jump into the closest vehicle and start honking the horn to scare it off– or at least, to notify people close by of the situation.” This was definitely a different kind of street awareness from what I deal with in New York City. A majestic polar bear, spotted on our Tauck expedition. 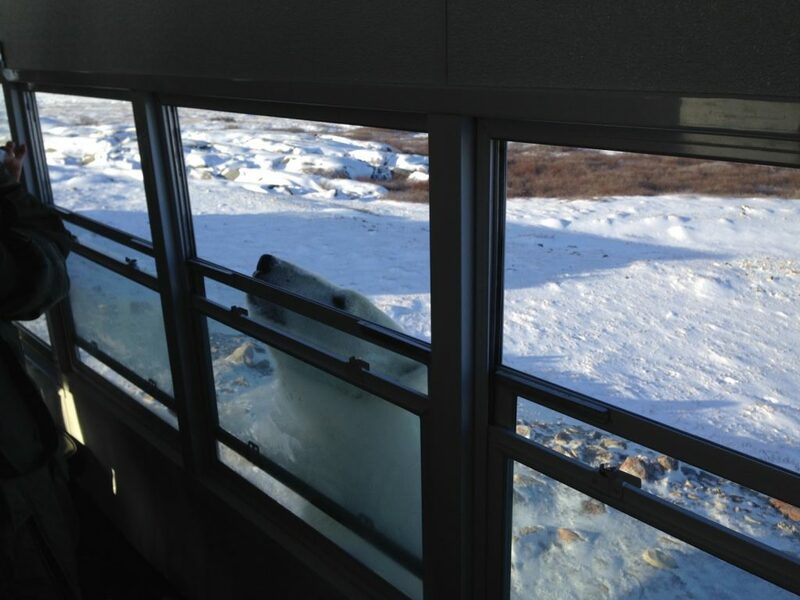 In this place, polar bears are equally feared and respected. All Churchillians, as they fondly call themselves, know that the bears ruled this land way before they ever got here, and every effort is made to keep humans and bears living in harmony with one another. 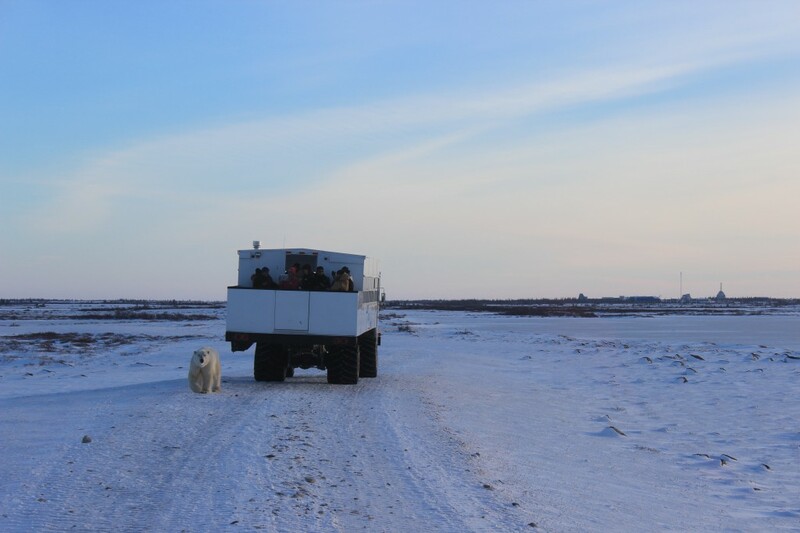 There is a polar bear alert team that stands watch on the town’s borders in the effort to minimize any bear-to-human contact. If that contact cannot be diverted and a bear engages in behaviors like coming in to town, attempting to break into homes or if it does anything that could potentially threaten the safety of Churchill’s residents, it is deemed a “bad bear” and put into “bear jail.” Formally known as the Polar Bear Holding Facility (but called bear jail by all of the locals), this is a holding facility for up to eight “inmates” who are detained and then released out on to the Bay as soon as the ice forms. 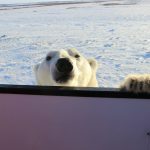 The polar bear is the only bear that will actually stalk people and is extremely stealthy; people have learned to adapt, but a great reverence for nature is at the forefront of life in Churchill. The Polar Bear Holding Facility. Humans cannot enter, as the goal is to keep the bears from becoming desensitized to human interaction. The people here have all adjusted to a different way of life: the shipping season is incredibly short, as summer just lasts for a few months. A ship isn’t insured if it is in these arctic waters past October 31st, so in Churchill, Christmas in July really does exist. If you have ordered something at any point in the year and are waiting for it to come via ship (as most heavy items do for the sake of cost), it comes in July. Everyone in the town goes down to the docks and there is a huge celebration– that t.v. or snowmobile you ordered six months ago, has finally arrived. 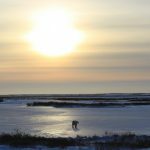 Life in Churchill at Dave Daley’s Wapusk Adventures, where you can discover the culture of dogsledding and experience it for yourself. Tauck seeks to make every experience incredibly special, with unique and customized glimpses into a place and its culture. 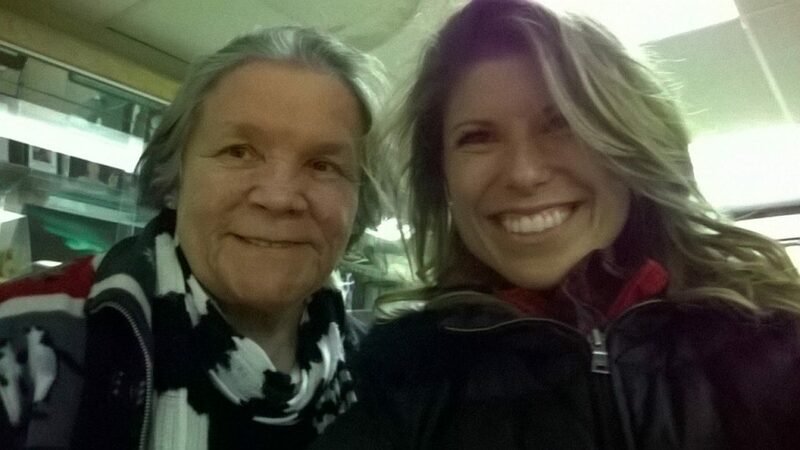 One evening, we went to meet a Maite woman in her seventies named Myrtle, who uses storytelling to conserve her culture. 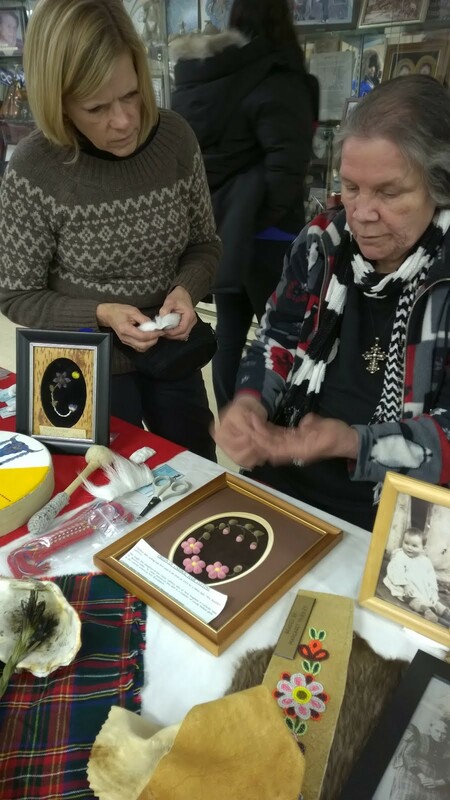 She has built a museum in Churchill full of personal and familial belongings, a museum that she has gifted to the city with the hopes that it will carry on the the legacy of her life and her people, long after she is gone. Learning from Myrtle, a native Maite storyteller. She continued on and had us all laughing and wide-eyed about her life here, and how it could be so incredibly different from our own– and even from the lives of people in her same country. Anything or anyone below Churchill is referred to as the “south” or as “southerners,” and rightfully so: only true people of the north have been able to adapt and carve out a life here over the past several thousand years. 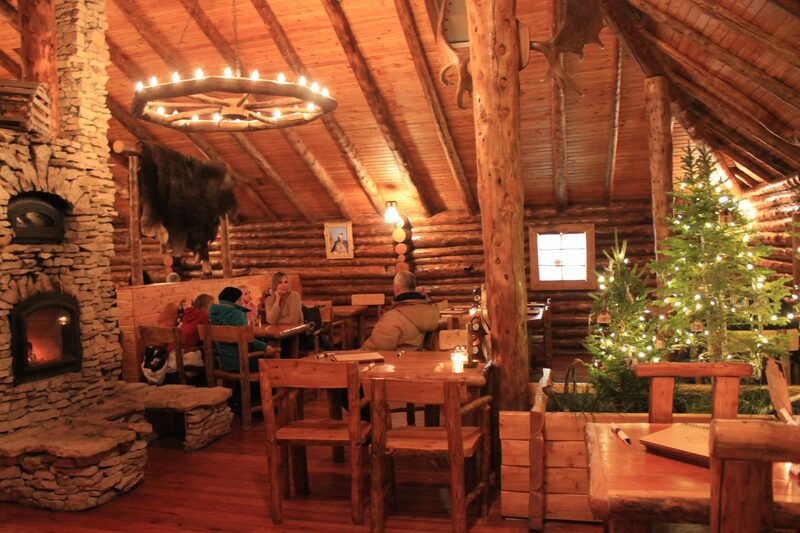 We returned back to the Lazy Bear Lodge and Cafe, and I ordered a bison steak, mashed potatoes and some steaming hot tomato soup. I figured I needed to put a little more meat on my bones– to keep me warm, and because skinny women don’t belong in these parts. With a full belly and a happy heart that evening, I drifted off to sleep. 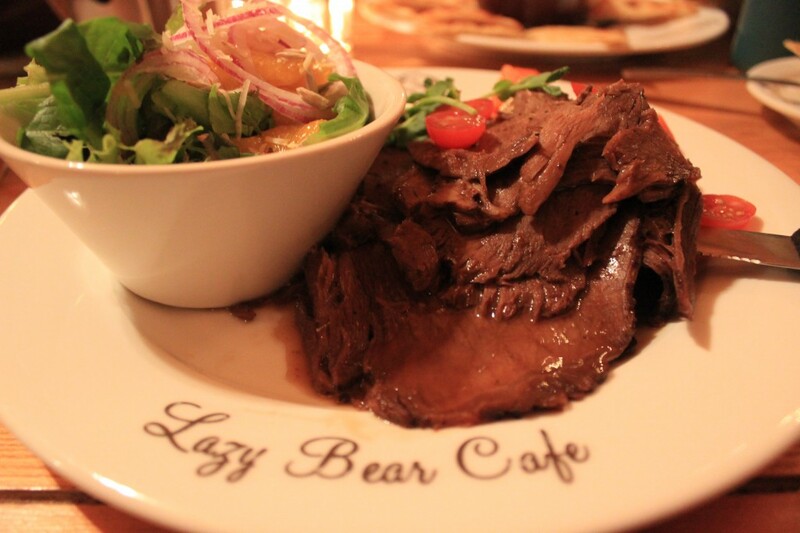 The delicious food served at the Lazy Bear Cafe. 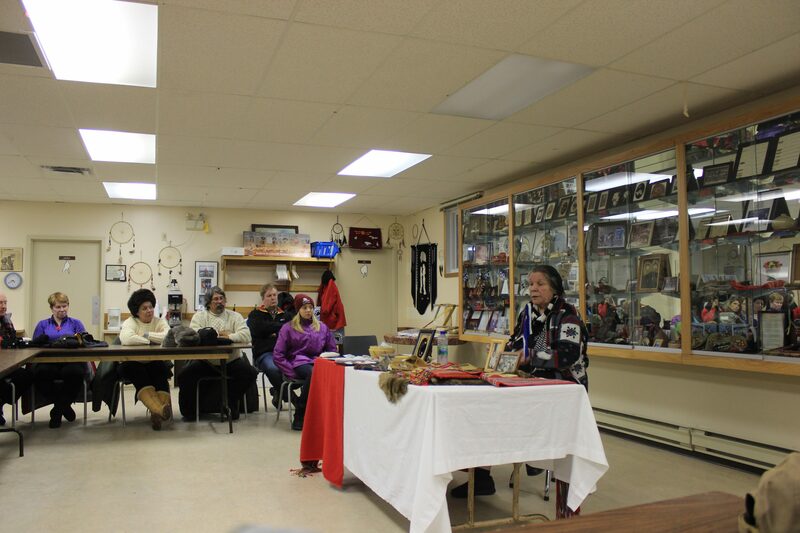 For highlights from Ashley Castle’s tour through Manitoba, please click here. Ashley Castle is a writer and blogger with a focus on experiential, transformational travel. 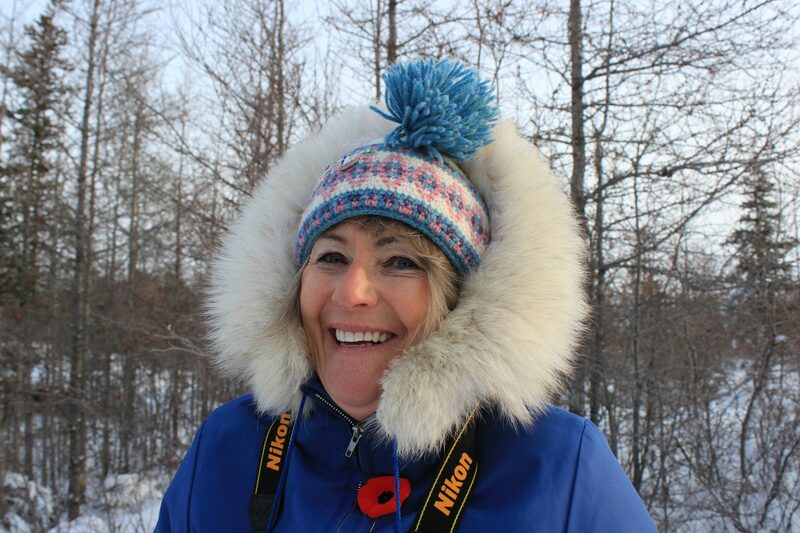 She traveled to Manitoba to engage with locals – and local wildlife – with USTOA Active Member Tauck in November and captured her experiences here on the USTOA blog as well as AFAR.com, and her own Facebook , Twitter and Instagram accounts. I had never heard of Churchill, Canada. I must have somehow glossed over my northern neighbor’s most central province in my junior high World Geography class, as well as on the wall-sized map that hangs over my camel colored sofa in my New York City apartment. Although I had only been to Canada once, to its capital city of Toronto, the turquoise waters of Banff and Lake Louise, the modern and much talked-about hub of Vancouver, B.C. and the slopes of Whistler all ranked high on my “to travel to” list. But Manitoba? Any idea of this place was as unfamiliar to me as Tajikistan– even more so, as I had previously heard of Tajikistan. 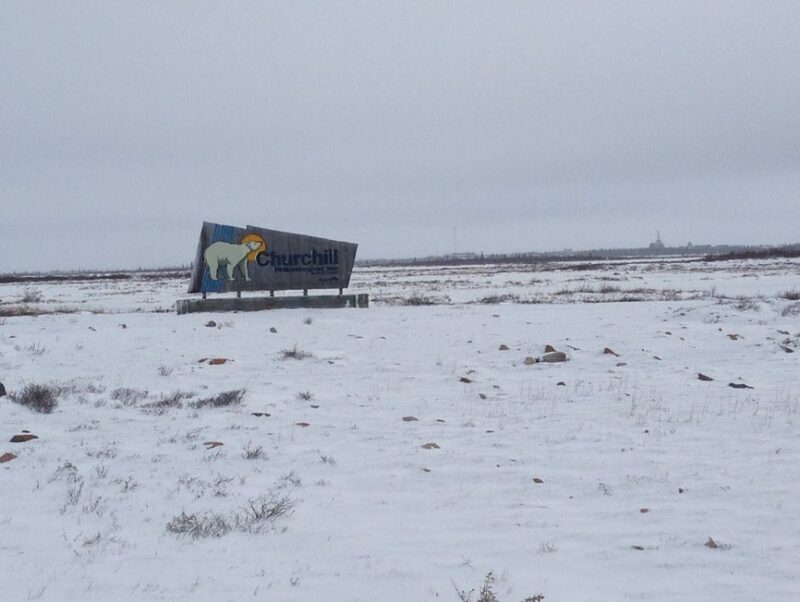 Churchill, a town that claims 923 residents, but from what locals say only actually has about 600-700, is the polar bear capital of the world and is located in northern Manitoba. It hugs the Hudson Bay and is a place where the First Nation people of Canada, the Inuit, Cree and Maite, have been for thousands of years. They were a nomadic people for centuries, living off the land and hunting moose and caribou, and had found a way to make it in winter’s harsh conditions. Yet, they never settled in this particular area that is now deemed Churchill, because they knew it wasn’t their land: it was the land of the Western Bay polar bear, who comes to this area every year in the months of October and November and waits for the sea ice to form on the Hudson Bay, in anticipation of their yearly migration northward to hunt for ring seals. 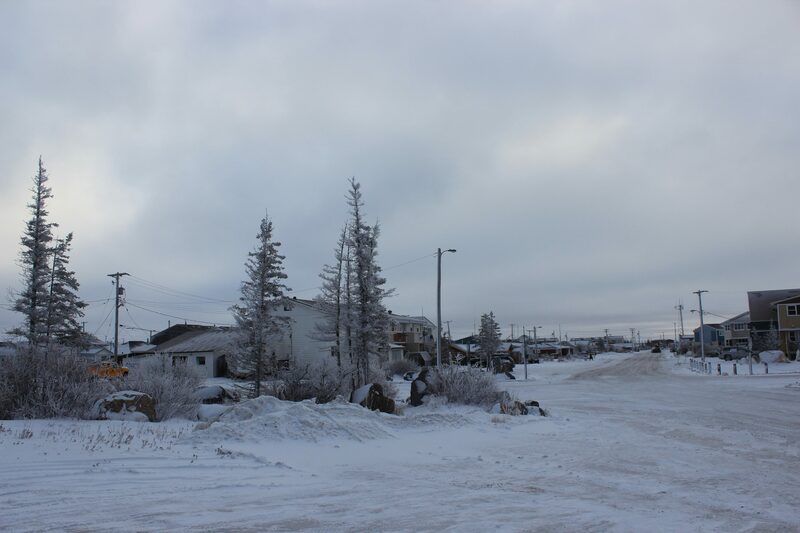 Canada established the town of Churchill right on the Bay, which served as an integral port for the fur trade of the early 17th century, as well as a military base during World War II and beyond. 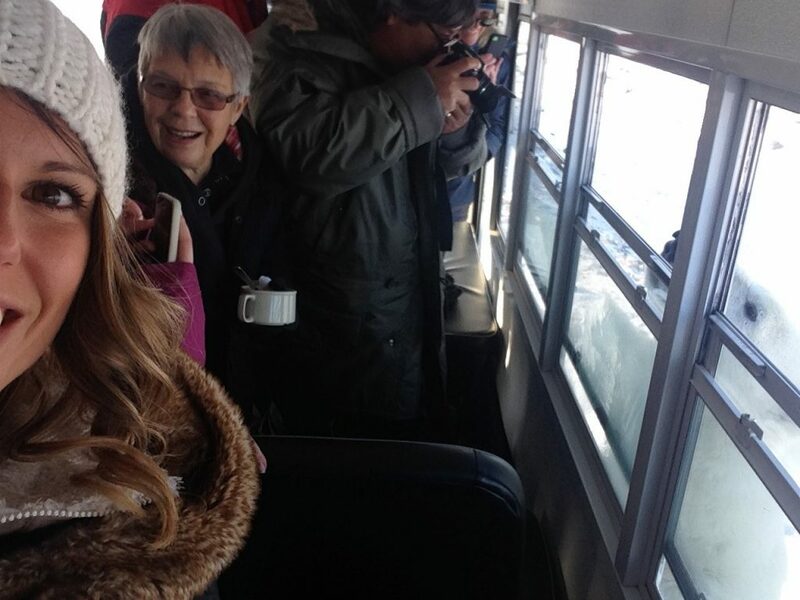 On board my inaugural Tauck expedition, our group landed in Churchill and headed to the Lazy Bear Lodge, a cozy log cabin hand-built, owned and cheerfully operated by Wally Daudrich, his wife and his five children. I stepped inside the Lazy Bear, and it felt like Christmas and coming home. 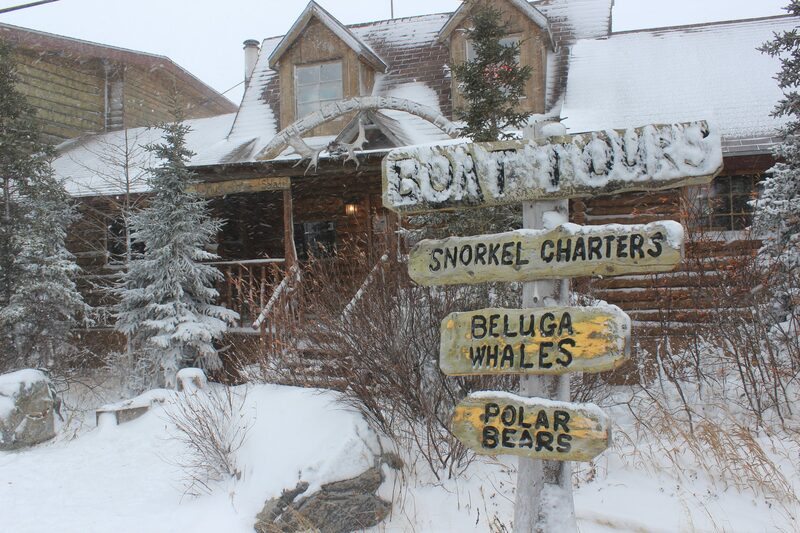 Filled with twinkling lights, candles and warm, crackling fires, the Lazy Bear Lodge and Cafe was our picturesque launching point for the week. 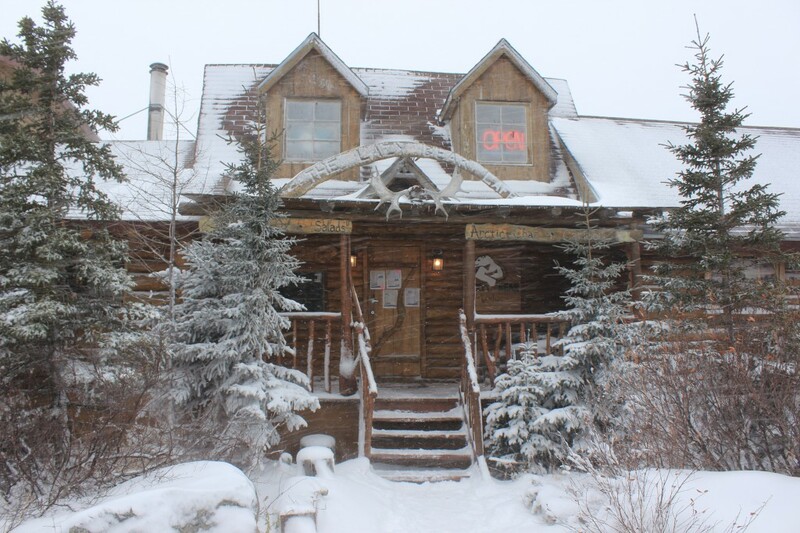 The Lazy Bear Lodge Exterior. Inside the comfortable Lazy Bear Café. 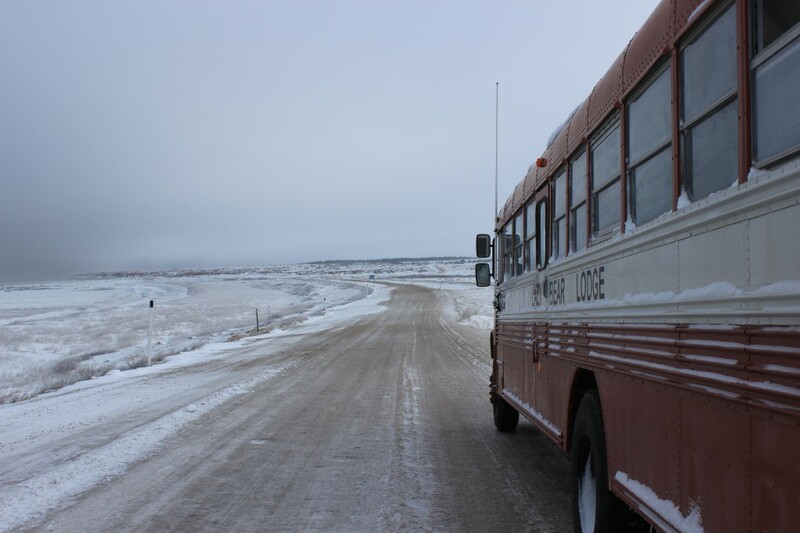 The following morning, I bundled up in what must have been seven layers of clothing and headed out to the old school bus to meet our guide, Colin. 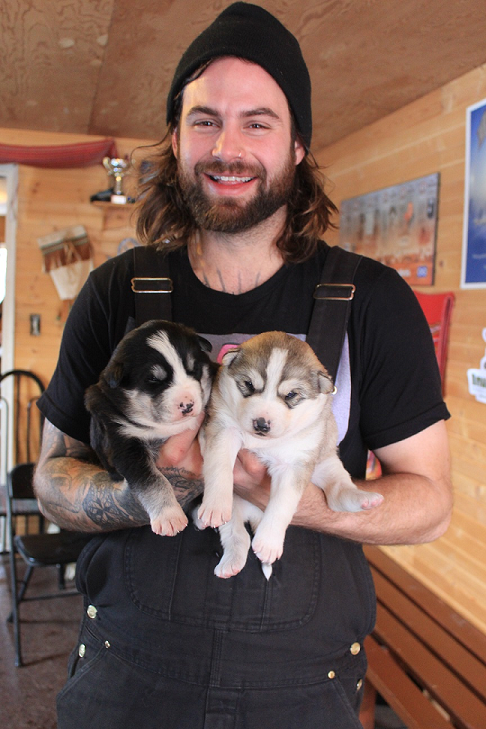 A true outdoorsman, from a small town in Saskatchewan and only in Churchill seasonally for the polar bears in October-November and the beluga whales in the summer, he is who you would hope to have at the helm of your polar bear expedition. Colin teaches arctic survival courses and donned only a t-shirt with the face of a voracious and stoic polar bear on its front and back, with a light jacket. We were ready to go. Headed out on our first day in search of the bears. After a briefing on polar bears and how to stay alive if we happened to be cruising around Churchill on foot– which, at 38 degrees below Fahrenheit with the windchill factor, I found that to be a highly unlikely personal scenario– we set off along the Hudson Bay until we reached our crawler. These Lazy Bear Lodge crawlers are specially built to navigate the arctic tundra terrain: massive, slick, snow-covered boulders, ice patches and brisk icy streams. It looked like a mobile home on monster truck snow tires, perched high enough in the air to keep its inhabitants warm, dry, and from becoming a hungry polar bear’s lunch. 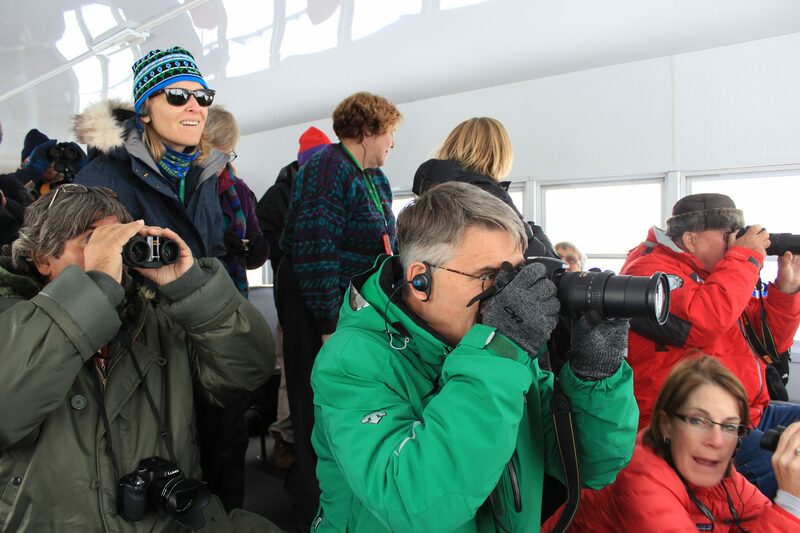 Every person or couple had their own window seat, and our Tauck guide, Dale, handed out binoculars and prepped us all with the realization that we may, or may not, see polar bears. Tauck has recently partnered with the BBC to create some incredible content– footage, Dale reminds us, that takes wildlife photographers months to collect. Her message was essentially this: although it is inspiring to know what these polar bears look like in such close proximity, this may not be your personal experience. Right. But of course, I was hoping to get face-to-face with a bear. Everyone was. It was the dream we all had when we booked this once-in-a-lifetime trip, and it was why we were all sitting bundled so tightly in these below freezing temps, looking like five-year-old children who had been over dressed by their mothers to go outside and build a snowman. Dale, our upbeat and fearless Tauck expedition leader. Within the first five minutes, we spot our first bear. It’s lounging leisurely on some rocks in the far distance. 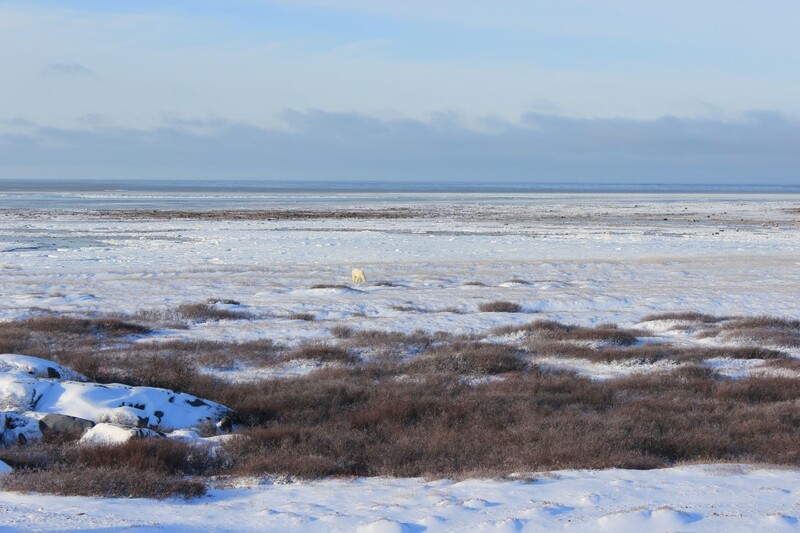 To the naked eye, it looks like a yellowish blob; the bears have been land-bound since the ice melted around June, which means that they’re not the pure white color they will be after they take a swim. It also means they haven’t eaten in four months and are incredibly hungry. If I had my last meal four months ago, I’d be hanging out on the banks of the Hudson Bay and waiting for the ice to form, too. I looked down at my black ski pants and coat– might a bear mistake me for a land seal? I hoped not. The bear stretches, and through my binoculars I can see that it gives a big, unamused yawn, stands up and goes behind some rocks, out of our sight. It apparently was not in the mood to be seen. But, we had spotted our first bear, albeit from a distance, within the first 30 minutes of the day. Things were looking up. We continued on our trek, and Colin, our local guide, as well as Dale, also a native Canadian, educate us about the bears, their habits, and about this land. I am so fascinated by how much I didn’t know about a place that is relatively, all things considered, close to where I call home. Everyone braced for a bear sighting. The morning passes quickly and we all wait in anticipation to see our next bear. After all, we now know that they’re out there. We sit on the edge of our crawler seats, gazing out the windows to see some tone-on-tone movement of the off-white bears against the glittering white snow. It’s lunchtime, and something about the cold seems to make you extra hungry. Hearty sandwiches and chili come to our rescue, and we all take a slight break to relish in our hot meal. My attention is completely and temporarily diverted and is focused solely on my steaming chili, when someone yells out, “bear!! !” In an effort to not spill my lunch, I scramble to the window and see this majestic creature walking towards us, intentionally and stealthily. I think he smelled the chili, too. I discarded my lunch like last year’s fashion and quickly grabbed my camera. He continued towards us and within minutes, was only feet away. The bear behind the crawler in front of us, headed our way. 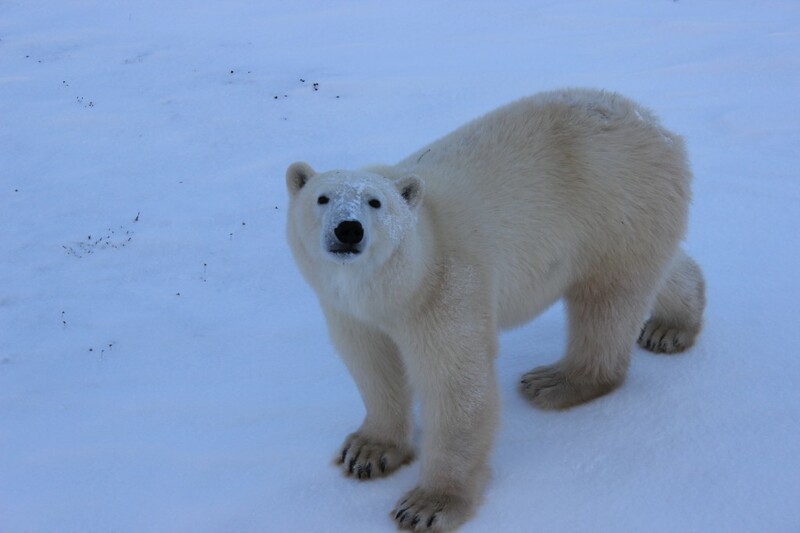 This polar bear was just a few feet from us, looking up at us as we looked back at him. The crawler has a back porch kind-of feature, with a metal grate beneath your feet and a surrounding wall that is tall enough to keep the bears from being able to jump on in and have your for their meal, with a side of chili. I ran outside as he headed towards the back, and we all grew still with the bear right below us. His breathing was heavy and I could hear his low growl. I squatted down and came within inches of his face. We were eye-to-eye, and in that moment I had to remember who I was dealing with. This polar bear didn’t want a Coca Cola, no matter how lovable he looked. He came out from under the grate and rose up on hind legs, placing his paws on the ledge. We all gasped and took a step back. We were so close, that I could see the details of his claws and the light shining through the ice on his fur. After a few heavy breaths, he lowered back down, and once he concluded he wasn’t getting chili or Tauck guests for lunch, he lumbered away and crossed a frozen lake, the arctic sun guiding his way. Quietness hung in the air and the only sound as he left was him crunching through the snow. The bear as he rose up on his hind legs. We all squealed like school kids. 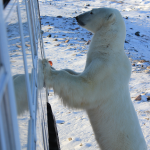 We had literally gotten to come head-to-head with a polar bear in his natural environment, and that’s what this journey was all about: creating an experience that would serve as a vivid memory etched in all of our hearts, for the rest of our lives.